route to Aspen from Denver, CO in no time at all. Admittedly it’s not too far but it can be quite an arduous drive if the clouds close in and the snow starts to fall. With a peak elevation of 10,850 feet along the way, there’s no lack of ‘weather’ to help put this luxury utility vehicle – as Lexus prefers to call it – through its paces. Traffic is backed up out of Denver, crawling at a snail’s pace, and allows me time to get used to the truck’s interior, with it’s numerous features. It really is a great, rich-looking cabin, with plenty of leather surfaces, plus a Sport Package that adds Black Bird’s Eye Maple trim and dark graphite finish to the mix. Classic Lexus, basically, where everything is where it’s supposed to be and understated elegance is aimed at and attained. There’s no shortage of buttons on the dash and console; although climate and audio controls can be done on the touch screen, there are ‘normal’ buttons too. Finding an ‘optimal’ driving position is easy given the amount of power-adjustable parts and the front bucket seats are well-cushioned and comfortable. 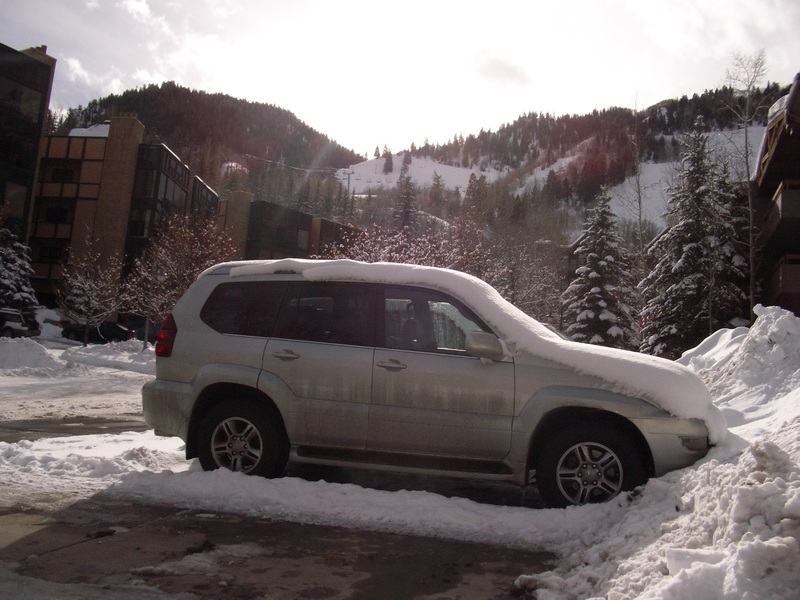 Visibility is excellent and the GX470, although not as big as Lexus’ full-size LX470, sits you up fairly high on the road. A generous greenhouse gives the truck a nice, airy feel and between the power, heated mirrors and optional back-up camera, obstacle avoidance is optimized. With traffic cleared I’m able to put my foot down and start heading uphill into the Rockies. The GX470 is powered by a 4.7 liter 270HP V8 with Variable Valve Timing. Teamed to a 5-speed electronically controlled automatic, there’s no shortage of power for passing slower vehicles, even as the altitude begins to climb. 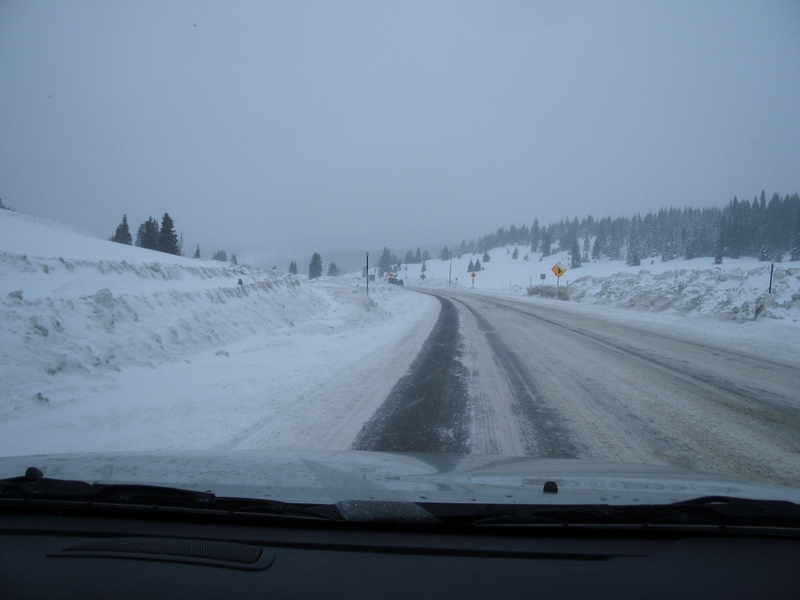 The route takes me past various resorts – Winterpark, Breckenridge, Steamboat Springs, Vail – and the mountain pass becomes steeper and more curvy at various points. The GX470 has wonderful road manners, the 17” alloys and 265/65SR17 Mud & Snow tires keeping a firm traction on the tarmac and the variable gear rack and pinion steering offering good feedback. Various electronic aids are fitted as standard – Adaptive variable suspension, Vehicle Stability Control, ABS, Active Traction control, plus a Downhill Assist Control and Hill-Start Assist control. As I head up the hill the weather closes in suddenly and the snow starts to fall. By the time I reach the journey’s peak altitude, there’s a good covering of snow on the ground and some fairly slippy conditions. 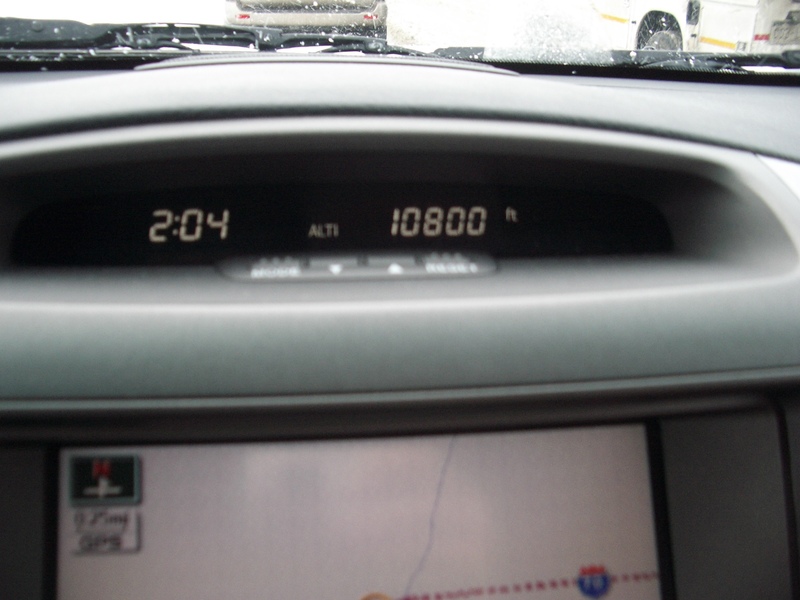 But, the GX470 is absolutely happy and at home and I don’t for a moment have any trouble. My progress continues as if the sun is still shining; I’m just slightly hampered by other vehicles who aren’t so sure-footed – or tired – in these conditions! For those traveling in numbers, the GX470 offers seating for 8, with the two rear-most seats either folding up to the side and out of the way, or allowing you to remove them entirely and make the most of the cargo area. My GX470 has a 2nd row CD/DVD player plus wireless headphones…now if only I’d thought to bring a chauffeur along for the ride! The Mark Levinson 14-speaker, 240 watt premium Audio system included in the car’s Navigation / Audio package, provides excellent sound quality, although the placement of the 6-CD changer in the glove box feels a bit old school given the amount of vehicles that now integrate it into the dash. Overall, superbly comfortable, very well-mannered on the road, even in slippery and snowy conditions and certainly cuts a stylish path through the well-heeled streets of Aspen, CO.
Engine Size         4.7 liters / 285 cu. in. Wheelbase/Length    109.8 in. / 188.2 in.